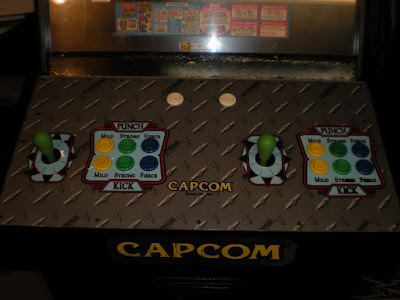 My Marvel Vs. Capcom I bought has a plexiglass overlay over the control panel graphics. The original had spider cracks around the screws, scratches and cigarette burns. 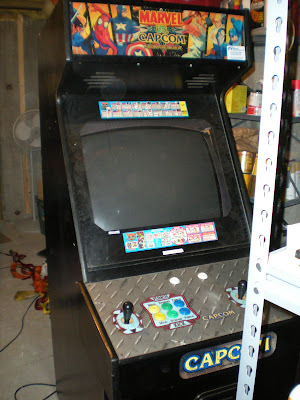 I couldn't let the control panel couldn't stay like that so I went about replacing the plexi overlay. 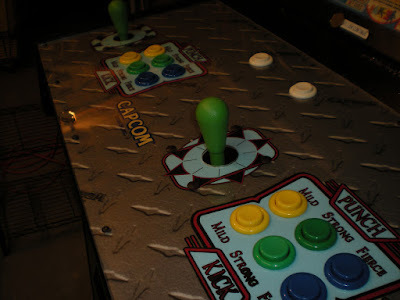 The plexi had 2 different sized large holes for the buttons and the joystick. 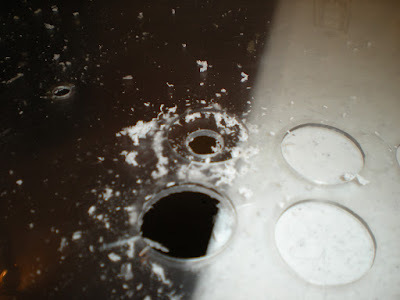 I have I have a 1 and 1/8 inch hole saw that I used to cut button holes for other control panels. The holes for this panel were not that size. I wanted it to match the orignal exactly. 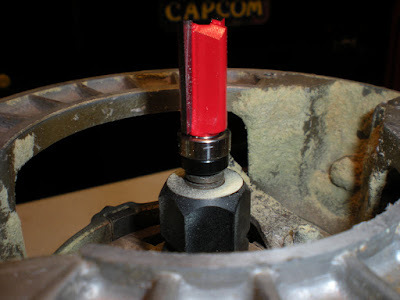 The soultion came from using a laminate trimmer router bit. Thanks Maxstang, Takeman, timberterror, ManiN, OldTymeToys for the suggestion! I picked one up at my local True Value. The way it works you drill a 1/4 inch pilot hole for the bit. The bearing rides on the old plexiglass and duplicates the hole of the original in the new plexi. 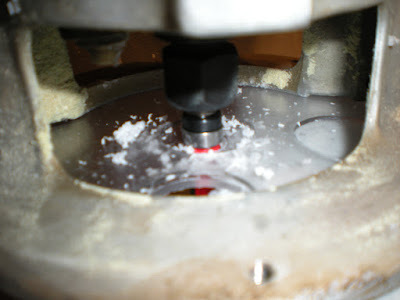 It leaves a nice smooth edge, much nicer then if I had used a holesaw. Overall it worked great, you just have to be very careful of the height, I cut a little extra in a couple places, but they are covered by the buttons. My router's height slips so I had to keep adjusting. Here it is installed, looks so much better than the cig burns and spider crackes! The only downside of this method is that the bit was $25. But I am sure I will reuse it in the future.